South San trustee Louis Ybarra Jr. said the closure of two schools in 2017 helped the district afford to open specialized academies at the remaining middle schools. During an at times contentious school board meeting last Thursday, opposing viewpoints over reopening three schools took center stage in the South San Antonio Independent School District. TPR's Camille Phillips reports on governance concerns at South San ISD. The day before, trustees had voted 4-3 to approve a resolution to reopen three closed schools next fall: Athens Elementary, Kazen Middle School and West Campus High School. The meeting was the first in a series of discussions between Superintendent Alexandro Flores and the board about what it would take to reopen those schools. He’s slated to present a more detailed plan the week of Feb. 11. Minutes into Thursday’s presentation on the district’s declining enrollment and facility-repair needs at current schools, Board President Connie Prado interrupted. “How do the rooftops at Palo Alto and Kindred (elementaries) — what do they have to do with the reopening of Athens, Kazen and West Campus?” Prado asked. “It all ties back into the financial sustainability,” the superintendent replied, asking her to give the presentation a chance. Flores eventually recommended that the board take the time to conduct a facilities assessment and feasibility study, and get more community input — a process he said usually takes 18 to 24 months. Newly elected trustees Homer Flores, Shirley Ibarra Peña and Gilbert Rodriguez joined Prado in voting against his recommendation. They instead voted to direct the superintendent to come up with a plan to reopen the schools in time for the 2019-2020 school year. The superintendent has been asked to present the plan during a board meeting the week of Feb. 11. The vote drew loud applause Thursday from community members who regularly attend board meetings, but other community members are concerned the actions could lead to intervention from the Texas Education Agency. South San's administrative offices are located in part of the former West Campus High School. Mungia said the recent board decisions mirror actions South San took before the state intervened in 2016 and appointed a conservator to oversee the board. Prado, who was also board president when the state appointed the conservator in 2016, said the board is being careful to stay within legal parameters. Current trustee Louis Ybarra Jr. is also concerned the actions could lead to state intervention. He voted to accept the superintendent’s recommendation for more time. Ybarra said the Lone Star Governance process approved by TEA dictates that the board should hear from the superintendent before making decisions. He also worried that reopening the schools with existing funds will use the district’s savings and put it at financial risk. Prado dismissed Ybarra’s concerns about money and said the best way to increase revenue is to reopen the schools. She believes reopening the schools will bring back students who transferred to the IDEA charter school nearby when it opened in the fall of 2017. 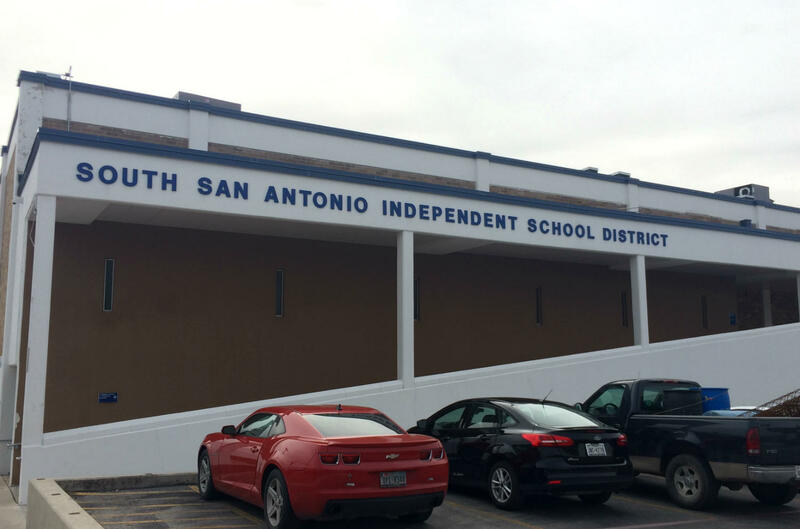 The board of trustees for the South San Antonio Independent School District approved a resolution to reopen three closed schools Wednesday night — before hearing a presentation on the topic from Superintendent Alexandro Flores. Incumbent school board members at the South San Antonio and Edgewood independent school districts fared poorly in Tuesday night's election. All three of South San’s incumbents lost, including board president Angelina Osteguin and board members Edward Mungia and Luis Rodriguez. Dina Serrano defeated appointed board member Richard Santoyo in the only competitive Edgewood race. The board for the South San Antonio Independent School District approved the district’s 2018-2019 budget Wednesday night without filling a roughly $3 million deficit. Trustees also voted to give staff a slight raise.